These credit cards are specifically for people that have bad credit or poor credit. These credit cards won't contain low interest rates, rewards programs, or other premium benefits that come with other cards, but are designed for consumers with bad credit or poor credit. 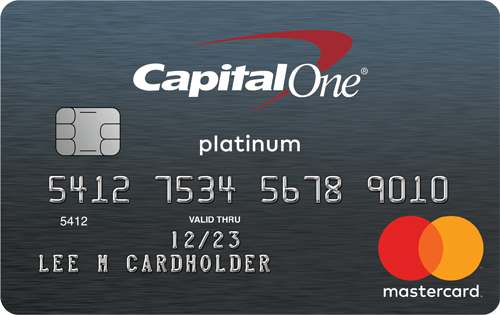 These cards are accepted anywhere a normal credit card is accepted, and some of these cards now feature low or no fees. The main pros of these credit cards is that they are specifically designed for individuals with bad credit. That means the card features, benefits, and structure are put in place to help those who have low credit scores, typically between 350 and 640. These cards are much safer to use than cash and will allow you to keep better track of your purchases. They can be used anywhere credit cards are accepted. Lastly, some of these cards now have no monthly fees associated with them. There are cons to cards for those with bad credit. First of all, these cards don't have rewards programs, early spend bonuses or special introductory offers on the interest rates. In addition, there will sometimes be a one-time setup or funding fee for a card. Be sure to read the full terms and conditions of the card you decide on to make sure it's a good fit for your financial situation. Each card below contains our editor’s rating and objective opinion. Most of the credit card offers shown below are from our advertising partners, however LowCards editors have reviewed each of the features and benefits of the cards below and sorted them in order of our editor’s opinion. FICO scores are used to represent the creditworthiness of a person and may be one indicator to the credit type you are eligible for. However, credit score alone does not guarantee or imply approval for any credit card. These cards are specifically designed for those with a credit score between 350 and 640. If your score is above 640, we highly recommend looking at cards designed for fair, good, or excellent credit as those cards will have more benefits to reward your higher score. If your score is between 350 and 640, then you are classified by the credit card industry as having bad credit. However this doesn't mean you can't get a credit card. We have over a number of cards listed below that are specifically designed for your financial situation; some even report to the credit bureaus. If you use your card responsibly---making on-time payments and keeping your balance low relative to your credit limits---you may start to rebuild your credit. Prepaid cards are similar to debit cards or gift cards in that you load them with an amount of money and then have that money available to be used on the card. When you run out of money you simply reload the card. Secured cards are more similar to credit cards, however you are required to provide an initial deposit that the card issuer keeps as long as you have the card; then you are issued credit in the amount of your deposit. These cards typically report to the credit bureaus and act more like a traditional credit card. If you're unhappy with your credit profile, then rebuilding your credit will be a priority for you. Only you can build or rebuild your credit. For positive marks on your credit report, select a credit card that reports to the major bureaus; make your payments on time each month; and keep your balance low relative to the credit limit. Additionally, if you have a large amount of debt and bad credit, you may want to speak with a professional about the options available to you to help you climb out of debt and get back on the road to improving your credit score. As your credit score rises, you will open the door to additional credit card opportunities that will come with more features and perks than a card designed specifically for bad credit. Fingerhut offers all sorts of awesome products, like clothing, electronics, furniture and more. A WebBank/Fingerhut Credit Account could help you build your buying power by reporting your on-time payments to all three credit bureaus. There’s no annual fee and no application fee. *See the complete WebBank/Fingerhut Credit Account Terms and Conditions. Unsecured credit line increases – After the first year, your account will be regularly reviewed for credit line increases with no additional security deposit required. Build your credit – performance is reported to all three major credit bureaus, unlike a prepaid card.